Don't just stand there on the promenade admiring the lake, get out and enjoy it. 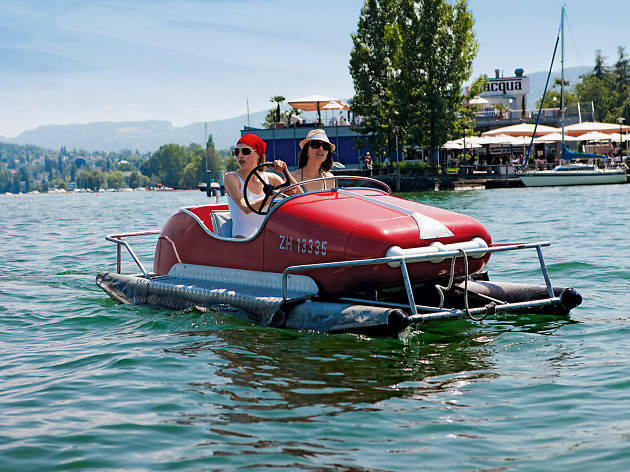 Pedalos can be hired from the lake's many boat hire companies and although it may look like you're messing around with an oversized child's toy, you'll be burning more calories than on a bike ride up an Alpine pass. 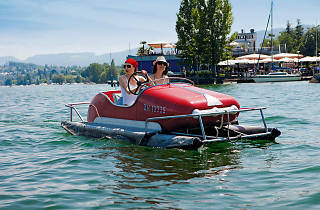 For something a bit more classic, rowing boats, speedboats and yawls are also available. And don't forget to look back and take in the views of the city as you work out.